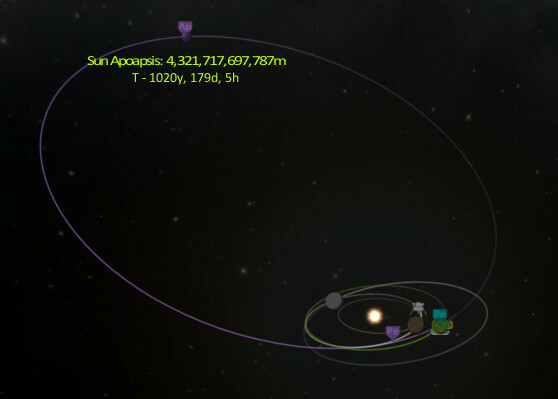 Well, we are in a nice Jool orbit, let's see if we can salvage things. Transfer all the remaining fuel to one lander! Detrix and SIGABRT we need you to land and process us some fuel. While Detrix is gone, the captain is... umm... the ship's guinea pig. Let's go! Let's run some "simulations" first to see where we might try to go. Can't seem to get any sort of intercept with Bop which is our first choice. How about Laythe? We have a heat shield and some parachutes, how hard could it be? (Note: the last time I successfully landed on Laythe predates the introduction of fatal re-entry). And if we get as close as possible without burning up, this happens (1020 year orbits, or worse, Kerbol escape velocity: interstellar destination). Well, plan B I guess. 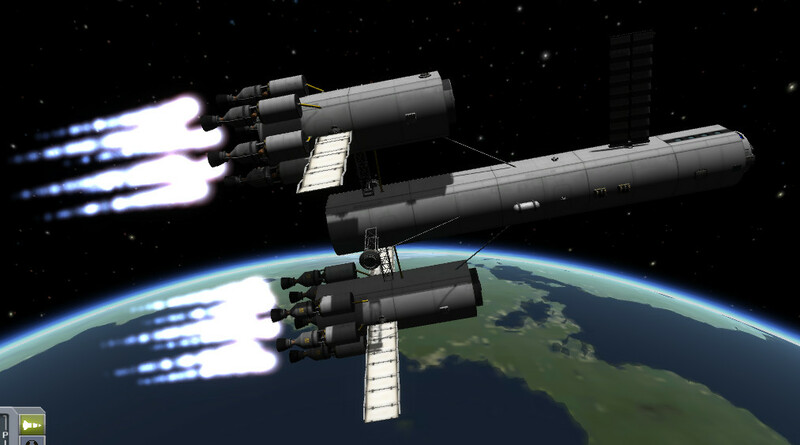 We designed a new ship that is mostly fuel that we're going to send to Jool. The challenge is we have no Kerbalnauts left, the astronaut complex is full of mostly engineers, and anyway it will cost $500k to recruit more. 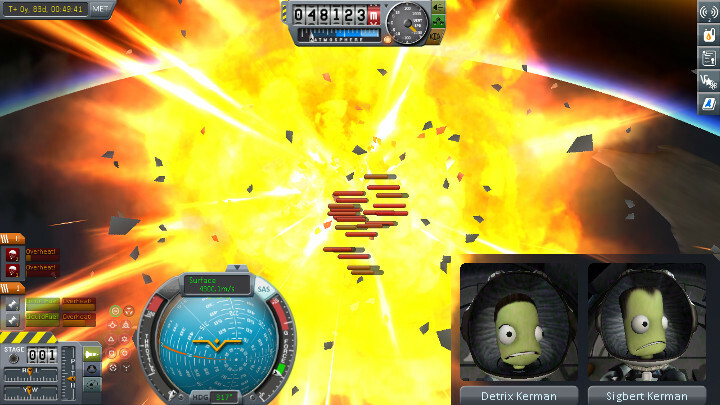 It took *way* too many tries to finally get this thing into orbit, we eventually had to remove 10k units of liquid fuel. 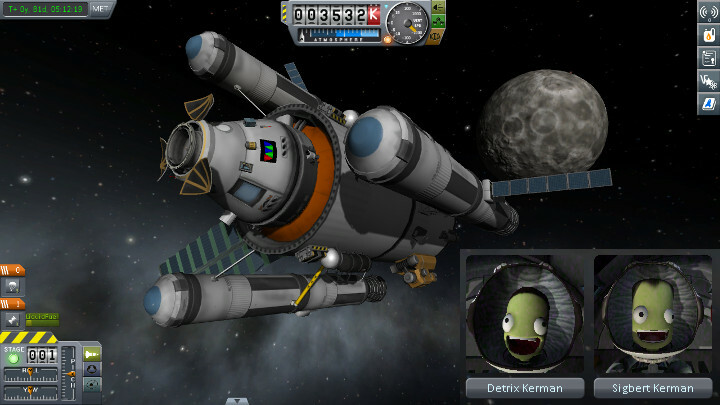 More or less made it to orbit! Who will fly this thing? Hey, remember MunStationAlpha that we launched 15 years ago! Of course you don't. Anyway it has lots of fuel and Sherbert and Gwenlin aren't doing much. 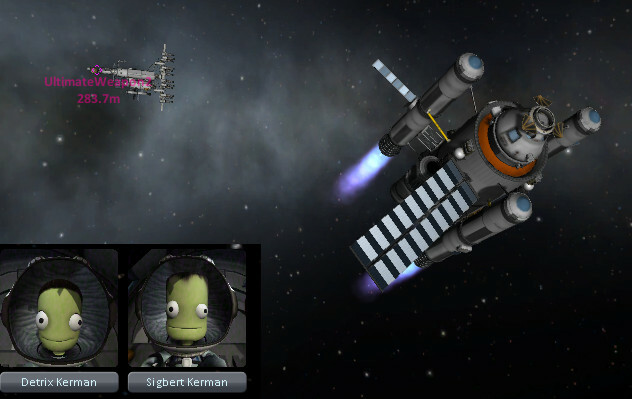 Maybe they'll volunteer to crew the Jool mission. 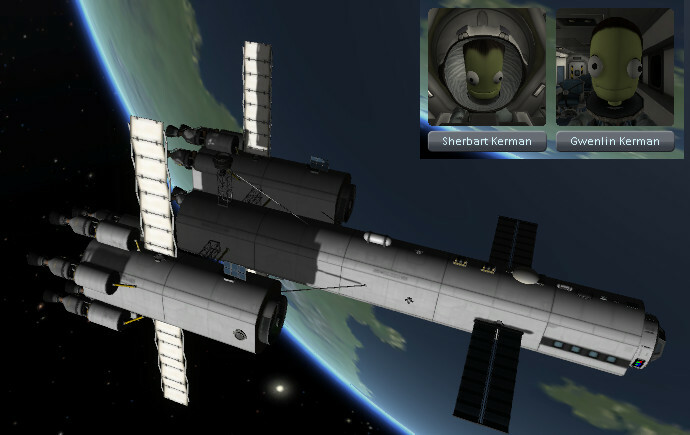 After a lot of hassle we got the station from Munar orbit to low-Kerbin and a few EVAs later we are in somewhat better shape. Now to top off the fuel and see if we can hit the Jool window that opens in 100 days.